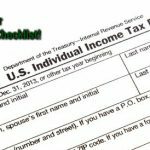 The goal at Tax Refund Loans is to help people overcome financial troubles and be financially independent & stable! To do so can be very hard in this world of over 8 billion people. To do so not only takes hard work & determination, but also the know-how. 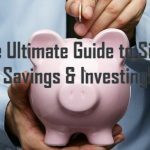 Our team of financial experts has put together the ultimate guide of secrets to long-term financial success to help you become financially independent & stable. As our instant refund anticipation loans are there to help with short-term financial problems, this guide is here to help with long-term financial problems, and together is here to help you overcome your financial troubles! So sit back, relax, and learn what it takes to be financially stable & independent! Hopefully with this, then you will be able to become financially successful too, whatever that means to you! Below is a list of financial ideas or actions. Go over them and see if any of these apply to your life/situation. Mark the ones that apply to your life while reading these below! I never track or budget my finances at all including tracking incoming money and outgoing expenses. I have a hard time paying any bills or expenses I have because I live week to week off a poor or inconsistent paycheck. I have tried using a spending plan, yet didn’t have the time to budget my expenses. When I try to budget my expenses in my head, I typically overspend. I don’t typically include paying with my credit card into my expense tracking. I like to treat myself and typically go over my max expenses every week or month. I am being held back by lack of finances, or like to blame my financial situation on why I can’t do certain things that I plan on doing! Now take a close look at this list. If you marked anyone of these real life financial predicaments, the following advice & information might really help you! The most basic secret to long-term financial success is learning how to plan & budget your finances. This is the backbone to being smart with your finances, and knowing these financial fundamentals, and actually using them is the biggest way to become financially stable & successful. It is a tool that will help prioritize your spending and manage your money no matter the size of your bank account and financial holdings. Not only will having a budget & planning your finances significantly help you financially, but it will also set a foundation of keeping your life organized. This in turn can help you shape up your life so you can achieve all the goals you have laid out for yourself, building your confidence and providing additional motivation to work hard & succeed! With your budget you will be able to quickly identity your wasteful expenditures, adapt to financial emergencies & changes, and achieve your financial & life goals. When you put down on paper, an app, on an online document, you will be able to see the actual breakdown of everything and will be able to fully grasp how your finances work. Use this tool to take control of your finances and your life. It can be your greatest weapon in dealing with financial problems, and in turn will significantly lower your stress. 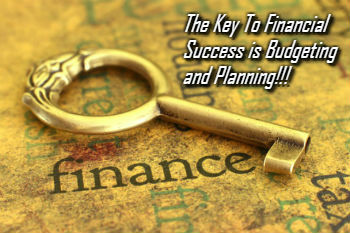 So try using a budget and planning your finances yourself and see firsthand its power! Where you’re going vs. where you are today (Planning Your Finances & Life):While a budget can lay out your finances including key expenses and future income, planning for the weeks and months to come, a financial plan, really helps to set a course for which you want to go & the goals in which you want to achieve. Plan by mapping out the upcoming week and month to start. Then you will want to start planning longer term goals and long term goals that can be 5, 10, or 20 years down the road. A good financial plan should address your income and expenses, taxes, insurance, estate planning, retirement, education needs, and other vital financial topics in your life. Strategies vs. tactics:Crafting your financial plan requires thinking a long-term strategy for getting you where you want to go, while at the same time budgeting, spending, investing, and saving your money to live how you want to day-to-day. Remember that once you have saved up enough money you can start to earn additional money from this savings, ever increasing your income. So think about how you want to live now, vs saving and how you want to live in the future and plan accordingly. This can be difficult, but try and come up with a level place that makes you happy, while also allowing you to save money for the future! Long-term vs. short-term:With a financial plan, you typically want to track your progress on both a short-term and long-term basis. With a budget, you record your income and expenses on a weekly or monthly basis, however with your financial plan you want to think about long-term goals you want to achieve. When both the budget and plan work hand in hand you will create a successful financial environment for yourself, in which you will be able to create financial stability and win at your finances! The closer you stick to your budget, the more progress you will make on your financial plan. Think about the things you want to do in 10, 20, or 30 years, and what steps you would have to take to reach those goals. Make sure to give yourself the time to do your planning and budgeting. Think about this things as often as you can, and be constantly updating and optimizing your budget and plan! Now you have a good understanding of what it takes to be financial stable and successful. 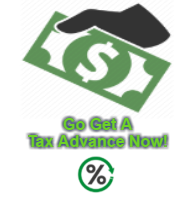 Remember that Tax Refund Loans is here to help you in the short-term with our refund advance online, while providing the latest & greatest advice and information about succeeding financially in the long-run. However it is up to you to do so! Jumping right in is the best way to get started, and once you start doing it, it should come somewhat naturally to you. Putting these things in writing can really help to make them real, and can really help make you stick to them. You need to do it through for it to work, so at least try it and see for yourself how successful these simple things can really help you become financially & in life!